Scientists have argued for years over the answer to this question. And central to their debate has been Pluto, the tiny orb circling the Sun at the outermost reaches of our solar system. Then on August 24, 2006, a group of astronomers made a big announcement: Pluto could no longer be considered a planet. 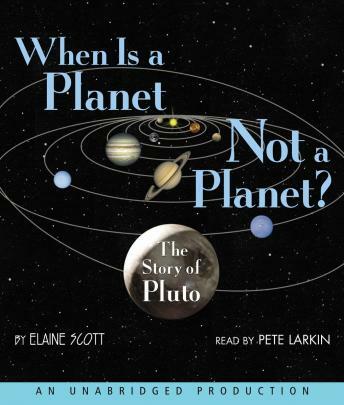 This fascinating and breathtaking audiobook explains in simple terms how advancements in technology have changed our understanding of the universe–and exactly how and why the number of planets in our solar system went from nine to eight.